Today: Today the former RNZAF Station remains open as Nelson Airport, and is the base of Air Nelson (Air New Zealand) and Origin Pacific airlines. 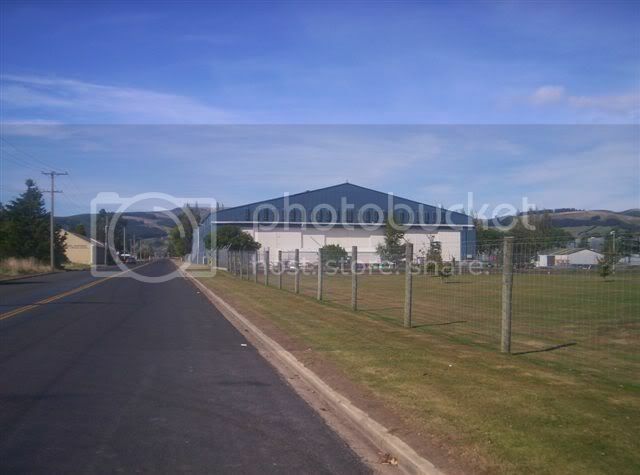 Much of the RNZAF buildings and hangars are still in use today by commercial aviation ventures. Administered by: Royal New Zealand Air Force? Opened as RNZAF Landing Ground: 19?? Closed as RNZAF Landing Ground: 19?? Opened as RNZAF Station: 19?? Closed as RNZAF Station: 19?? History under RNZAF usage: unknown, probably an emergency landing field for Nelson and perhaps an emergency defensive airfield in the event of invasion from the west? Opened as RNZAF Airstrip: 19?? Closed as RNZAF Airstrip: 19?? Today: This airstrip still exists today but is known as the Lake Station strip, as it's situated on land owned by Lake Station, near St Arnaud. It is used regularly still by the Nelson Gliding Club. Tophouse itself is a tourism area with a historic homestead, golf course and Department of Conservation area. 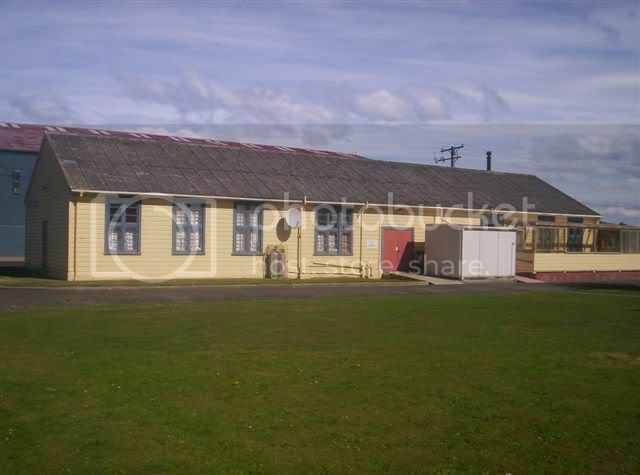 History under RNZAF usage: Built specifically for the RNZAF just before the war, RNZAF Station Woodbourne was designed as a flying training facility, and it performed that very task throughout the war. This SFTS was the last flying school to be established in 1939. Wing Commander Keith Caldwell was appointed Commanding Officer and Squadron Leader Nicholl became the first Chief Flying Instructor. The first course of eighteen airmen pilots arrived on the 28th of December 1940. Flying initially Vickers Vildebeeste and Vincent bombers as advanced trainers, from 1941 the North American Harvard single-engined trainers began to take over the role, releasing the the biplanes for General Reconnaissance duties. The majority of the Harvards in the wartime RNZAF were on charge at this station, and it was the main advanced flying training school for single seat training. There were two levels of training within the SFTS system, and they were two distinct courses at different squadrons within the school. The No. 2 SFTS Initial Training Squadron, or ITS, was the period where trainees converted from the basic aircraft they'd learned on (Moths, Tiger Moths, etc) to more the powerful aircraft. They furthered their aeronautical training. At the No. 2 SFTS Advanced Training Squadron, or ATS, more advanced flying techniques such as formation flying were taught. For a more detailed account of the activities of this school I highly recommend the book 'Beckoning Skies' by the late Bryan E. Young. This unit was based at nearby RNZAF Station Fairhall, which was initially a satellite grass airfield to Woodbourne. The squadron's Harvards and Kittyhawks also reportedly operated from Woodbourne but may never have been permanently based there. Can anyone confirm this? 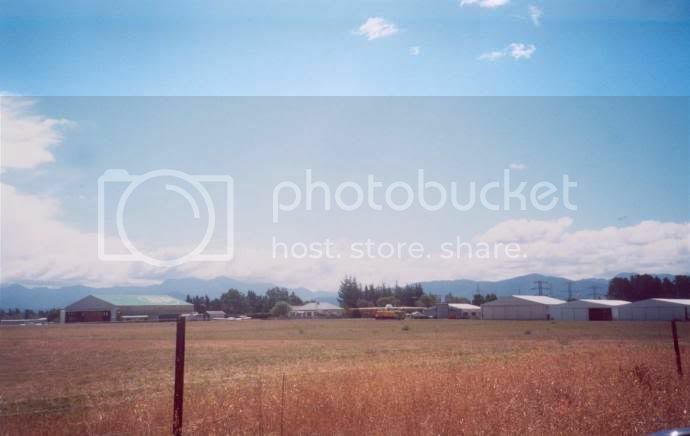 Above: RNZAF Station Woodbourne, near Blenheim. This is a composite of three photos that were taken by webmaster Dave Homewood in the Autumn or Winter 1989 whilst he was based at Woodbourne. They show No's 2, 3 and 4 Hangars as viewed from the eastern edge of the airfield. The runway would be to the left of the picture. History under RNZAF usage: Prewar this had been a busy and historic aerodrome, and from almost the war's beginning RNZAF activities moved in. Initially used as a satellite to nearby RNZAF Station Woodbourne, from February 1941 Omaka became an operational station. Later that year it became home to the School of General Reconnaissance, and in 1943 the brief home of the NCO's School. New recruits who had previously been trained in the Air Training Corps also were inducted into the RNZAF on this station through a system designed to fast track them through and not double up on the previous training. By late 1943 the station was beginning to be wound down significantly and from 1944 till the end of the war became merely a satellite storage depot for nearby RNZAF Station Woodbourne. Today: Today Omaka is a thriving regional aerodrome for Marlborough, where general aviation continues to flourish as it did before the war. It is also home to a wonderful collection of historic aircraft, including real and replica World War One fighters, and some World War Two aircraft too. Owners of aircraft based on this airfield include well-known WWI enthusiast and restorer Stuart Tantrum, the very famous film maker Peter Jackson, and also restoration expert Mike Nicholls. The aerodrome holds a large bi-annual airshow, Classic Fighters, at Easter during the odd years to compliment the famous Warbirds Over Wanaka shows in the even years. Recently work began on the construction of a new aviation heritage centre on the aerodrome which will certainly become a major tourist attraction. 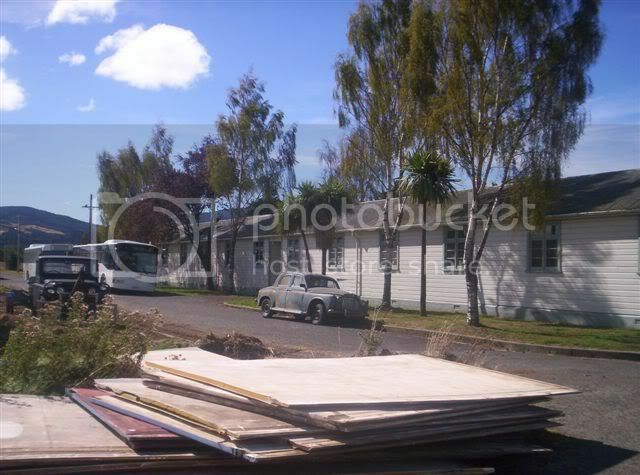 Many of the former RNZAF buildings remain on site, some being used by the local Air Training Corps unit. I am sure that the new museum will reflect the history of the RNZAF on this important aerodrome. Flying Vickers Vincent and Vildebeest from Omaka as a detachment of the Nelson-based No. 2 (GR) Squadron, this unit was established to patrol the eastern approaches of Cook Strait against raiders and submarines. This detachment was set up at Omaka in February 1941, and another role that developed for the unit was the training of General Reconnaissance crews. This detachment was later divided from the squadron, and became the School of General Reconnaissance. See below. Originally flying Vickers Vincent and Vildebeest aircraft inherited from the detachment of No. 2 (GR) Squadron, this school was formed in late 1941. The squadron had run the training of crews for its own and other GR squadrons since early 1941. With several new GR squadrons being formed the need arose for a larger, separate school, so the School of General Reconnaissance was formed. The training of ex-Air Training Corp cadets began to be carried out here in 1942, and continued through 1943. They were trained with a more fast-track system to get them into flying training, because the ATC should already have given them a good grounding in Air Force knowledge, practices and skills that needn't be repeated in their training. With the departure of the School of General Reconnaissance from RNZAF Station Omaka to New Plymouth, a new school took its place. The NCO's School was established here to train airmen who were being promoted to an NCO rank in the duties and etiquette of those ranks. However this was a short-lived posting, the school only being at Omaka through August 1943, before moving on again to RNZAF Station Levin. The similar Officer's School of Instruction replaced this school at the end of August 1943. 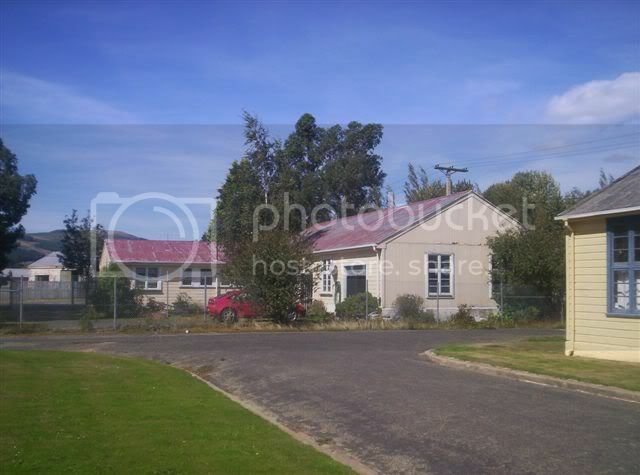 Above: Former RNZAF Station Omaka, near Blenheim. This photo was taken by webmaster Dave Homewood on a visit to the airfield in February 2004. It is now home to a great collection of historic aircraft including director Peter Jackson's World War One replica fighters. Centre of shot is a former Safe Air Bristol Freighter. An Aviation Historical Centre is currently under construction at Omaka, which is also the venue of the biennial Classic Fighters airshow. 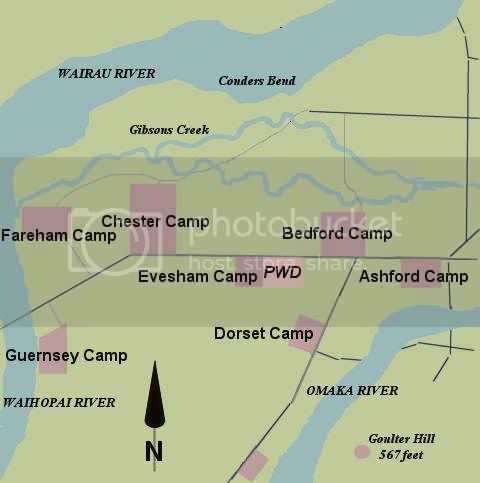 History under RNZAF usage: "The Delta", as it was known, was a collection of RNZAF camps, all established at the delta point where the Wairau and Waihopai Rivers meet on one side, and the Omaka river passes on the other. The site had been chosen by and developed under the guidance of Flying Officer Arthur Bradshaw, of the Aerodrome Services Branch of Air Headquarters. It included a runway and several camps where new airmen would undergo initial training. The Delta was not the most popular of stations to be posted to, mainly due to the poor standard of food dished up to airmen there, and the primitive living conditions. However many men were to pass through the Delta on their way to bigger and better things. Today: I guess this land reverted to farm land, and is possibly also vineyards today. The ITW moved to RNZAF Station Delta from RNZAF Station Rotorua in February 1944 and the grouping of all pre-flying training was then completed. When the Delta was closed in October 1944, the ITW was moved down to RNZAF Station Taieri. Above: This map created by Dave Homewood is based on an old map supplied by John Skeen. The village of Renwick, then known as Renwicktown, would be just right of the map. Today: I understand the land reverted to farm land, and today is likely to be in viticulture - can anyone confirm? 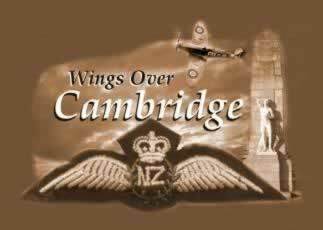 This squadron was formed in June 1943 and stationed at RNZAF Fairhall, taking over No. 16 Squadron's aircraft when their personnel had moved to the Pacific. The squadron remained on the base for three months, carrying out the same role of defence as its predecessor, and preparing for service in the Pacific. They were to move up to Santo in September 1943. History under RNZAF usage:This site was chosen in 1942 by Flying Officer Arthur Bradshaw, of the Aerodrome Services Branch of Air Headquarters, to become an RNZAF airfield. It was approved as such by HQ, but was held in reserve. It is unknown whether any actual development of the airfield was made at that time. "Constructed in 1938 as a landing field for the Wellington Territorial Squadron to carry out bombing practice on the Lake, with their Blackburn Baffin aircraft. With the outbreak of War and the establishment of No.2 Flying Training School at Woodbourne the airfield and bombing ranges became a busy place, administered by the Station's Armament Section. During 1941 the area was designated a Satellite Airfield of Woodbourne, and several buildings were erected. 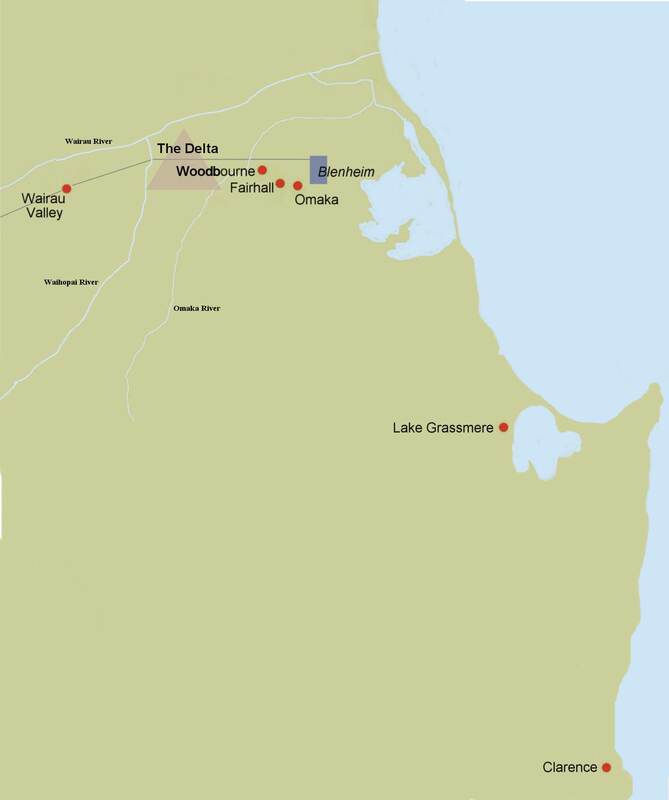 Of the groundcrew, one or two airmen lived on site at Grassmere but most came out from Woodbourne by truck each day. Trainee pilots and instructors would fly out from Woodbourne, usually for the morning or afternoon. Little (if any) night-time use was made of the ranges, and even at the height of wartime training, the airfield and ranges at Grassmere was basically a week-day operation. Practice bombs were dropped on targets set up on the lake, with results calculated from bearings taken from several observation posts on nearby hills. Student pilots fired at sleeve targets towed behind an all-yellow Vincent in designated gunnery ranges over Clifford Bay. In addition to aircraft (mostly Harvards) of No.2 SFTS, the ranges were used by Kittyhawks of the Fighter Squadrons based at Fairhall (Woodbourne). A bomb was also dropped on the lake by a visiting B-17 Fortress. There were several fatalities at or near Lake Grassmere, and at least one major ground accident in which a Harvard and Vincent were written off, though with only minor injuries to those involved. Use of the bombing and gunnery ranges ceased with the closure of No.2 SFTS in November, though these were still designated as such in 1947. Post-war, the Marlborough Aero Club made limited use of the airfield in the early post-war years. What was probably the last accident at Lake Grassmere involved a Hudson of the Central Flying School, Woodbourne, which made a wheels-up landing on the mudflats through "inappropriate manipulation of the throttles." It was subsequently winched to the airfield, repaired and flown back to Woodbourne. Since that time, Lake Grassmere has seen dramatic development and expansion of the solar salt industry, first begun there on an experimental basis in 1942. The South Island Main Trunk Railway passes over Lake Grassmere on a causeway, as it did throughout the war years. Public Works Dept Overseer for setting out the airfield in 1938 was Mr Allan Montgomery (my grandfather). Armament Officer at Woodbourne 1943-44 was Flt Lt W.R.J. (Bill) Montgomery (my Uncle); Grassmere was a major part of his "parish". Hope this is of interest. My good wishes for success in your project. Regards, Robert." History under RNZAF usage: This was an emergency airfield. I am unsure how often it was actually used by the RNZAF but I do know of one emergency landing made there on the 29th of June 1943. This is detailed on page 100 of Alex Horn's excellent book "Wings Over The Pacific" (Random Century, 1992). A pilot with No. 42 (Communications) Squadron who remains unnamed in the text at his own request, ran into trouble on a flight from Rongotai to Wigram when he and his passengers unexpectedly flew into a frontal storm. Visibility became impossible and he decided to put down the Airspeed Oxford he was flying at Conway Flat. The book records, "There were there so they finished up, in a very wet state, at a local farmer's enjoying a cup of tea while waiting for the weather to clear. They phoned Wigram and explained the situation; the base had been closed by the storm." Opened for RNZAF Usage: 1940? Closed for RNZAF Usage: 1945? No.3 Stores Depot was established in rented or commandeered buildings within central Christchurch for a short time, until the purpose built station of RNZAF Weedons was established 11 miles out of the city on the main southern route. "The expansion of the RNZAF immediately before the war was so rapid that the Technical Training School at Hobsonville could not train sufficient fitters and riggers for the service. It was therefore decided that a number of airmen should be trained in the railway workshops at Otahuhu, Hutt, Addington, and Hillside. Previously it had been planned that a number of the workshops apprentices should be given a course in Air Force trades at the conclusion of their Railways training. On completing their course the trainees were to be posted to the Civil Reserve and were liable to join the Air Force in the event of war. The two schemes were combined, and technical training centres were opened in each of the railway workshops. 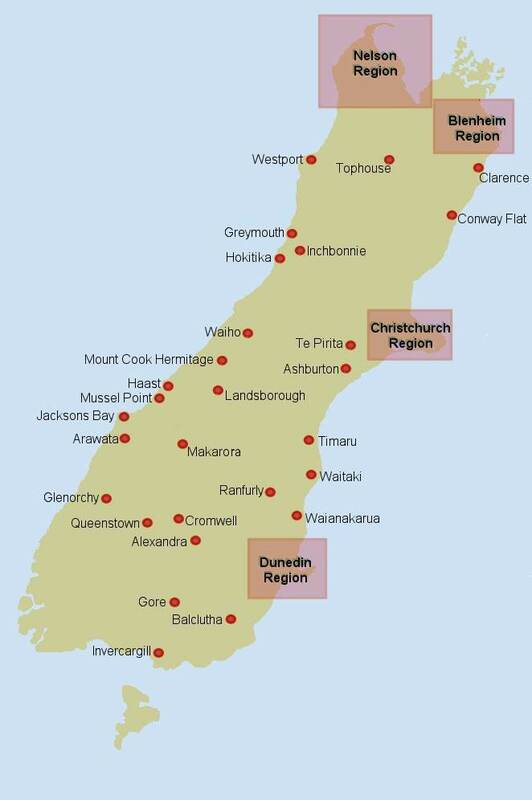 The first to begin training was at Hutt, in July 1939. The others received their first intakes shortly after the war began. The scheme continued until September 1940, when the increased facilities for technical training within the RNZAF made it possible to close the technical training centres. During their period of operation the centres trained a total of 595 flight riggers and flight mechanics." Today: The home of the RNZAF Museum, but sadly a ridiculous Government decision to close New Zealand's most historic and best base was made in 1993, and after its closure in 1995 it has endured mass destruction of the historic buildings, and much hosing has been built over the old station's grounds. The airfield still operates for various civilian aviation groups but is also under threat of being built on. History under RNZAF usage: An ex-municipal aerodrome that began to be constructed into an RNZAF station at the immediate outbreak of war in 1939, Harewood became a major training station during the war. It's first Station Commander was Wing Commander Sir Robert Clark-Hall. Whilst nearby Wigram concentrated on advanced multi-engined training for most of the war, Harewood was ab-initio pilot training on Tiger Moths, and was also an operational station for No. 3 (GR) Squadron on Baffins and Hudsons. Flying DH82 Tiger Moths, this school was established in August 1940 to train new pilots. This became one of the largest flying schools in the country when, after No. 2 EFTS was closed down at RNZAF Station Ashburton in October 1944, it's instructors and aircraft were absorbed into this school. A school for wireless repair engineers, Wireless Operators and all manner of other instrument mechanics and the likes to be trained in their trade at. This was eventually in postwar to become the famous No. 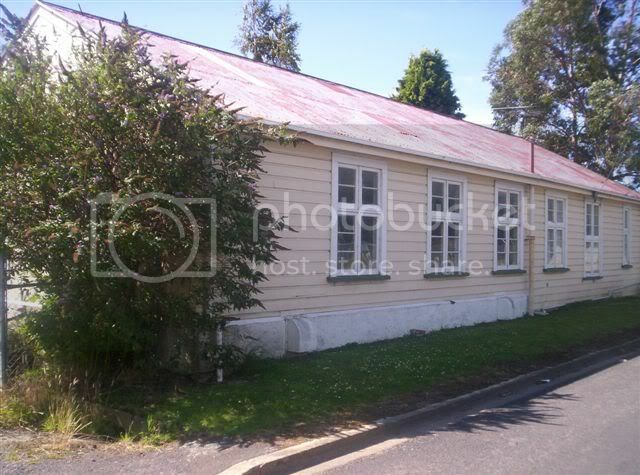 2 Technical Training School, which sadly closed when RNZAF Wigram was being wound down in 1993. History under RNZAF usage: The following extracts that detail the history of RNZAF Station Norwood come from Wartime Memories of the RNZAF by Keith and Nona Morris, and have been repeated here with kind permission of the author, Mrs Nona Morris. "Norwood, twenty five miles south west of Christchurch had been developed in 1939 as a satellite landing ground for Wigram, the senior RNZAF station in the country. In November 1942, No. 22 Army Co-operation Squadron, equipped with Vincent aircraft, moved from Palmerston North to Norwood and about this time it was developed as a small station. However the Army Co-operation Squadron was short lived and the station reverted again to the status of a satellite for Wigram. It was now used to accommodate the advanced training section of No. 1 Service Flying Training School. The pupil pilots and their instructors came down to Norwood for the last month of their course. They flew Oxford aircraft and were engaged in cross country navigation flying and bombing practice over Lake Ellesmere. As well as the airman pilots and their instructors, there were maintenance and support staff. Altogether, when I was at Norwood, there were about 120 men and 20 WAAFS. All the personnel slept in army huts. If Harewood rated "Hotel" status, Norwood didn't even make "one star". The girls huts were completely enclosed by a high, wooden fence and it was always referred to as "The Compound." At one end of the Compound were the toilets - just long drop ones with holes in the ground. The ablution block contained a laundry and a boiler house, and a large, communal shower-room. I recommend Nona's excellent book, in which she describes her time at Norwood in much more detail than noted above. She was a WAAF Telephone Operator and also in charge of all WAAFs on the station at the time. She served there from December 1943 through till October 1944. Closed as RNZAF Station: 1945? 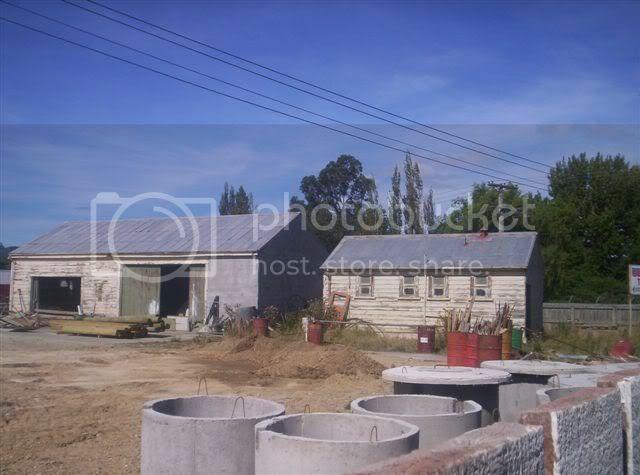 Today: John Skene of Christchurch has a keen interest in the history of old RNZAF Stations in the South Island. 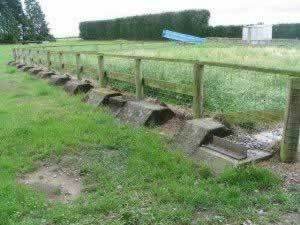 He has recently visited Norwood and he reports about the former RNZAF station as it is today: "It is mostly back in farm land, however if you look you can find remains of the accommodation blocks and one of the old hangars." 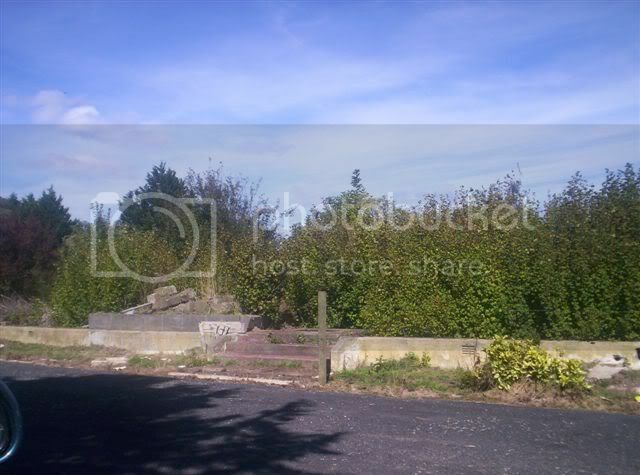 Above: Footings of one of the old RNZAF hangars at former RNZAF Station Norwood. Flying Vickers Vincents from november 1942 till ? Recommended Further Reading: Wartime Memories of the RNZAF by Keith and Nona Morris. This book details the station very well because Nona was based there for a long period during the Second World War. The highly secret and important Southern Group Headquarters were stationed here. I will add more to this soon, but in the meantime I recommend the book Wartime Memories of the RNZAF by Keith and Nona Morris. This book details the SGHQ very well because Nona was based there for a period during the Second World War. 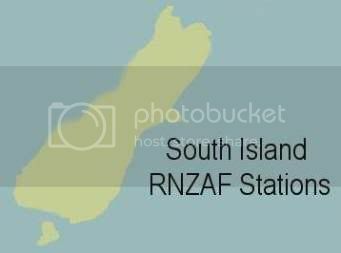 Closed as RNZAF Station: 200? 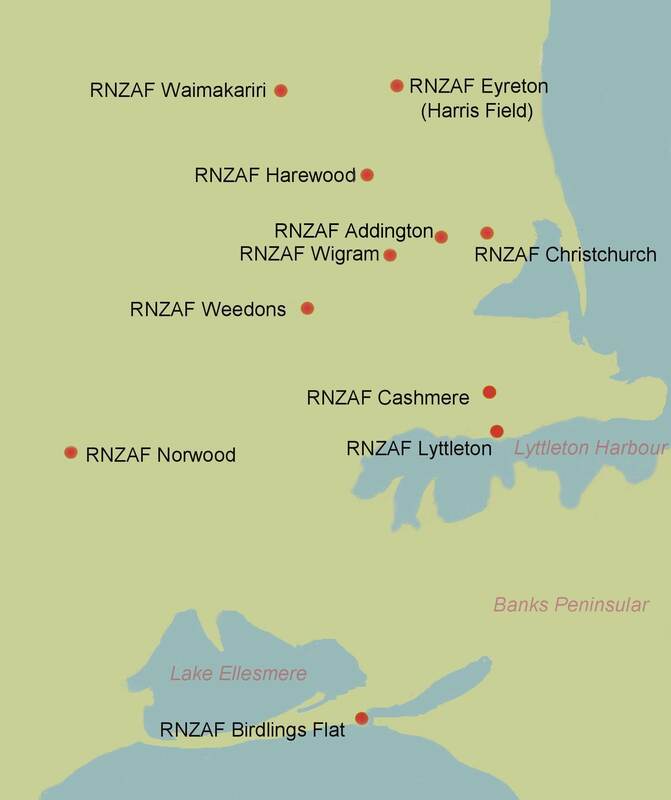 Today: As of February 2004 Weedons was still an RNZAF Station, under the command of the RNZAF Museum. 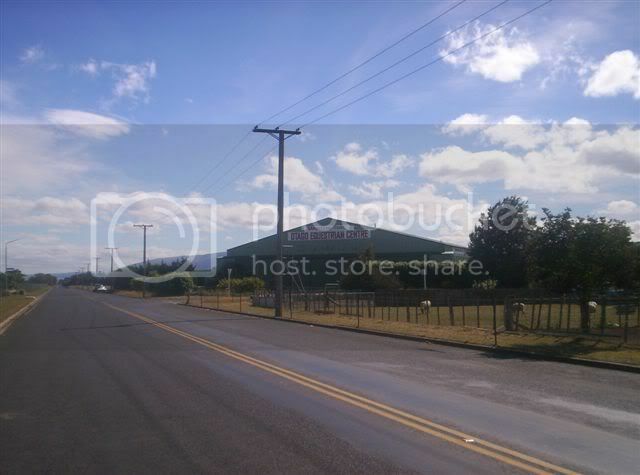 However I was told then that it would soon close and all storage would be moved to Wigram. I do not know if this has yet occurred. I heard the MQ houses have all been removed and the hangars were to be demolished. Can anyone confirm this? History under RNZAF usage: One of the bigger secrets in RNZAF history, this was the largest airfield in New Zealand, designed to cope with masses of huge four engined USAAF bombers such as the B-17 and B-24. However, in the event it was never used. The site had been chosen by and developed under the guidance of Flying Officer Arthur Bradshaw, of the Aerodrome Services Branch of Air Headquarters, and built in relative secrecy. However some in the RNZAF obviously knew something was going on there, because in Roy Russell's book "Aerial Circles - 50 Years in NZ Aviation 1935-1985" (self-published, 1985) he talks of his days as a student pilot flying Tiger Moths with No. 3 EFTS, Harewood. He recalls a flight he made with his instructor 'Hoppy' Hopwood, "Not far inland at Te Pirita a large airfield was being developed, apparently for American 'Flying Fortresses', though it was never used for that purpose. Hoppy decided we would go and check progress on one of my lessons. There were earthmoving machines all over the place, but undeterred, Hoppy put our wheels on the deck and drove our Tiger between them, nonchalantly waving out to the incredulous machine operators." Of course the major secret, as Arthur Bradshaw wrote in his excellent book "Flying By Bradshaw" (Proctor Publications, 2000) was not the airfield itself, but the huge secret fuel storage tank built nearby at Bankside to service the airfield. 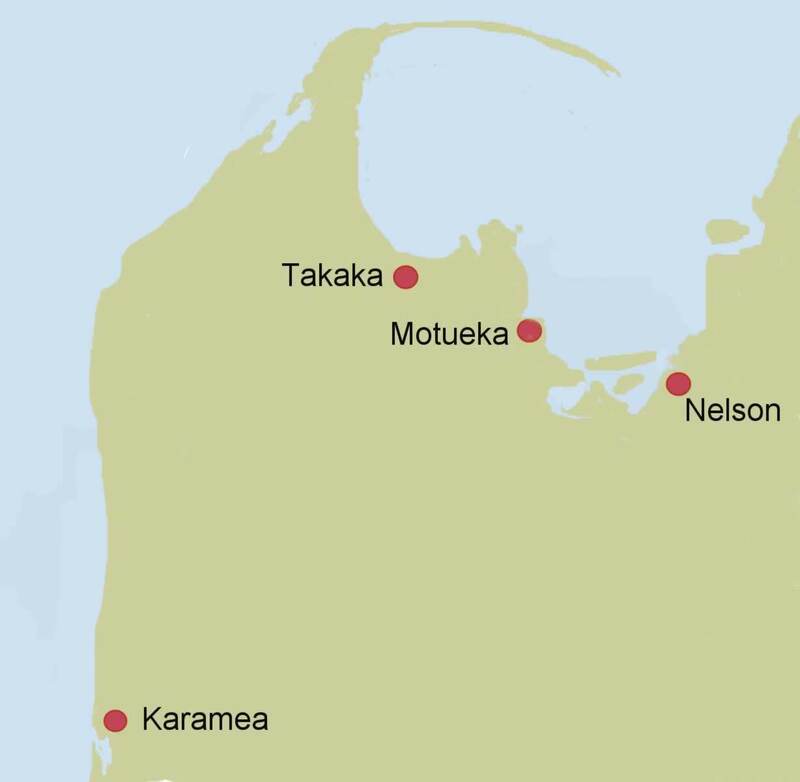 Te Pirita's history is well described in the article below by Claire Stevens, which I had a hand in providing research material for. The article first appeared in the CRT May 2005 issue of Agline, and it has been reproduced here with the kind permission of the author and the editor of the magazine. Sixty years after the event it is hard to comprehend the very real threat posed by the Japanese as they advanced rapidly towards Australia and the Pacific. In early 1942 the possible invasion of Australia was causing such concern in new Zealand that planning was under way to defend our country and make a last stand against the Japanese. History under RNZAF usage: Due to the Japanese threat In the Pacific, a prudent reorganisation of stations was undertaken. It was designed to send all the training establishments to the South Island and keep the North Island purely for operational squadrons. Thus, No. 2 Elementary Flying Training School was shifted from Bell Block at New Plymouth down to a prewar airfield at Ashburton. Work had begun on upgrading the station in February 1942, increasing the airfield's overall area, which had originally been just 93 acres, and establishing a 4200 foot long runway. Hangars were built, accompanied by workshops, huts and messes dispersed around the area. The work cost taxpayers £118,275, and the new station could accommodate 600 personnel. The new station became active in September, whilst some buildings and hangars were still under construction, when the first Tiger Moths of No. 2 EFTS began to arrive. The school commenced its training duties there officially on the 16th of October 1942. Initially there were problems caused by the strong north-west winds till the hangars finally received their roofs. On the 9th of November 1942 an unusual accident occurred at the station when sparks from the smokestack of a passing steam traction engine that was on the road next to the airfield ignited the dry grass. Tiger Moth NZ819 caught alight and was all but destroyed. The aircraft was eventually written off the books on the 19th of January 1943 as reduced to spares. On the 1st of February 1943 a severe gale damaged six Tiger Moths. These included NZ739, NZ753 and NZ1418 being written off. NZ666 - Instructor, Pilot Officer Brian Levet was killed when his aircraft crashed near Darfield on the 28th of October 1943. It spun after a tight turn at low altitude and impacted with a hill. LAC Graham Gunn was injured but died three days later in hospital. NZ674 - Crashed on takeoff from Ashburton on the 7th of October 1943. NZ686 - Crashed near Ashburton on the 27th of March 1943 after hitting a haystack during low flying practice. Rumour has it that the instructor was chasing a rabbit at the time, and failed to see the haystack! NZ689 - Hit trees 7 km south of Ashburton while carrying out a low level flying exercise on the 19th of April 1943. Flying Officer H.E.L. Pickering and LAC H.C. Parker were both injured. NZ738 - Crashed near Ashburton on the 16th of April 1943. Flying Officer P. Clark and LAC K. Outrim were seriously injured. NZ742 - Crashed near Ashburton on the 17th of December 1942. NZ845 - Crashed 4 km from Mayfield on the 10th of October 1944. NZ860 - Crashed at Ashburton on the 14th of March 1943. NZ878 - Crashed at Dromore near Ashburton on the 5th of November 1943. The aircraft failed to recover from an inverted position while flying at about 2500 feet and crashed into the ground. Pilot Officer Hugh Eagleson was killed and LAC N. Grant seriously injured. NZ1416 - Involved in the last fatal RNZAF Tiger Moth accident when the aircraft hit and killed a flare path controller during night landing at Ashburton on the 18th of July 1944. NZ1445 - Crashed near Charing Cross on the 10th of March 1943. LAC M. Young was injured. NZ1449 - Crashed at Charing Cross on the 19th of May 1944. NZ1483 - Crashed 19 kilometres south of Wigram on the 5th of September 1944 after hitting trees during unauthorised low flying. The dispersed layout of the station proved unsatisfactory, and in June 1943 a £66,000 reconstruction of the facilities began. All of the previously-dispersed facilities were regrouped together on land adjacent to the airfield, and more accommodation was added so that the base could now cater to a strength of 900 people. This improved the station greatly, but by the time the improvements were ready, the demand for the training of new pilots was beginning to drop off. Two years, almost to the day, after No. 2 EFTS had begun its tenure at Ashburton, the school was disbanded on the 14th of October 1944. The school's instructors and aircraft were absorbed by No. 3 EFTS at Harewood, along with those pupils still under instruction at the time of the move. 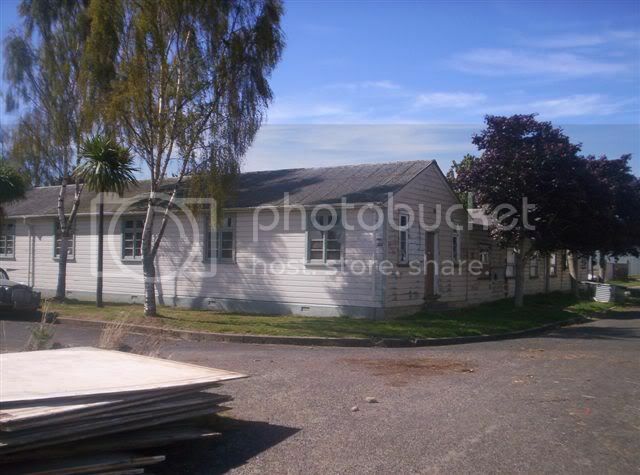 Shortly after the school left Ashburton, the small base was closed. In its two years at Ashburton, the school had trained 1192 pilots. Once the airfield was closed, the RNZAF did continue to use Ashburton for a time simply to store Tiger Moths and Harvards. Today: The airfield is the site of the Ashburton Aviation Museum and is still an airfield. Little of the original RNZAF buildings still remain. There is one of the original hangars, and the taxi track, complete with tie down loops still firmly in the ground. The museum on site records the history of the station. Also today the aeroclub activities continue and around 25 aircraft, mostly privately owned, are based on the airfield. History under RNZAF usage: An ex-municipal aerodrome, and home to Dunedin Aero Club, this airfield became an RNZAF station at the immediate outbreak of war in 1939. It had already been chosen as the base for a fourth Territorial Squadron that was being set up, No. 4 Squadron, but no accommodation for the squadron had begun to be built when war began. 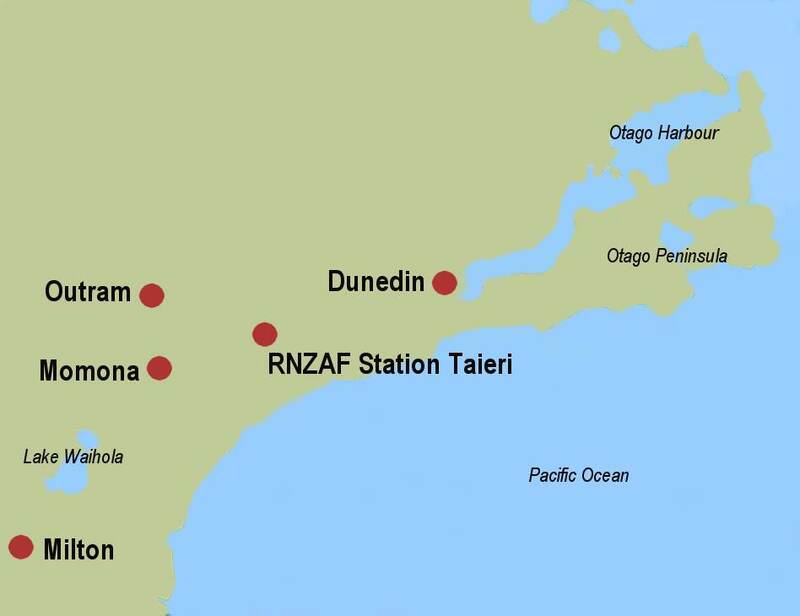 The Public Works Department set to work and built the station and all was ready for the RNZAF to take over and use within just six weeks of them commencing work! No. 1 Elementary Flying Training School, the first of four such EFTS's to be established, opened on the station on the 7th of October 1939 whilst construction work proceeded and at first had to make do with just one hangar. Wing Commander Peter Alister Matheson OBD (cvsa) - August 1943 till ?? Today: John Noble of Mosgiel wrote in to say. "The airfield albeit much smaller is still utilised by the local aero club. The hangars are still there as well as some of the original buildings." Thanks John. "Taieri Airfield is still in use by the Otago Aero Club, home to our local Rescue helicopter and a base for the aircraft homebuilder of which there is quite a few. The main runway is still 23 --05 and grassed and is almost in line with the prevailing SW wind. 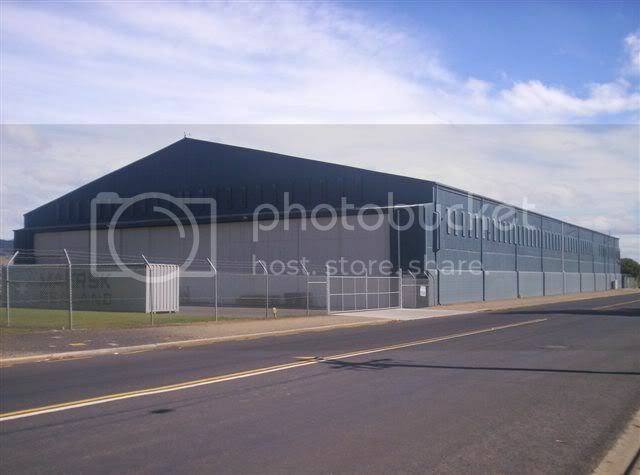 There are several large industrial sites on parts of the former runway areas which include a meat processing plant, a whiteware factory (Fisher and Paykel) and a bond store for locally made whiskey This image is of the Northernmost Hangar which is used as a bond store and storage for the Wilsons Whiskey Co"
"Another view looking NE of the Northern Hangar. The road separates the airfield and hangers from the remainder of the Base site." "This the other hangar (the southern one) I remember this being used by NAC Airways in the 50's and 60's where the DC3's were overnighted and serviced as Taieri was Dunedin's main airport until Momona Airport about 10km south opened as Dunedin's new airport in 1964, with Taieri reverting back to a club operated airfield." "The only surviving 'H' accommodation block full of boorer and wood rot. 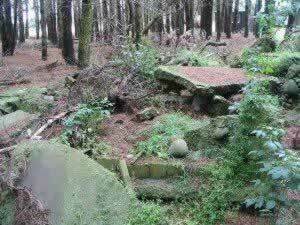 Used by local cultural groups and completely run down." "I believe that this was one of the Stores buildings. From the early 1960's until 1984 this was the Headquarters of No. 46 Mosgiel Squadron Air Training Corps and is now use by a local Motor Cycle Sporting Club. I was one of the first Mosgiel ATC Cadets when the Squadron was reactivated and then became one of the Squadron's Officers and finally Unit Commander in 1982." 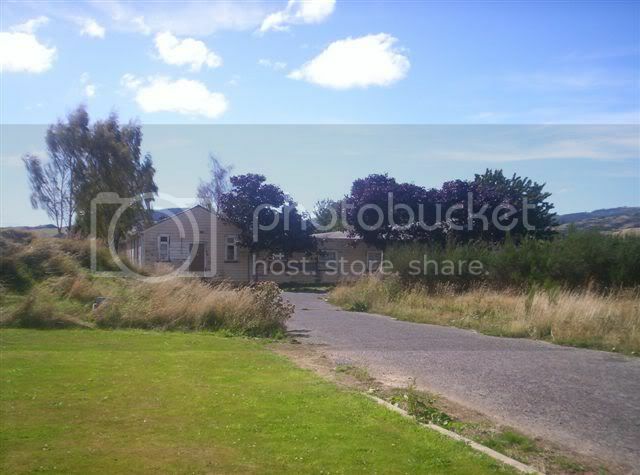 "Not too sure about this one its on the North Side of the old ATC Building might have been HQ? " "Another view of the previous. Possibly HQ." 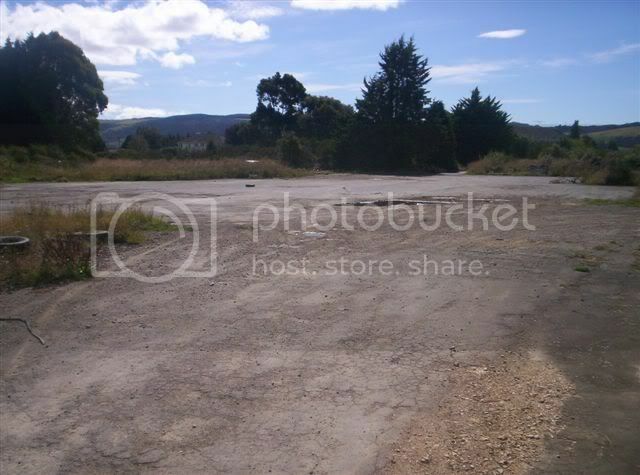 "What used to be the Parade Ground." 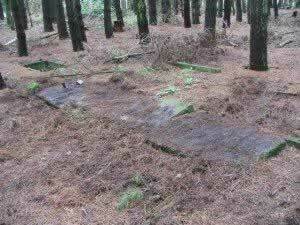 "This was where the Officers Mess used to be. 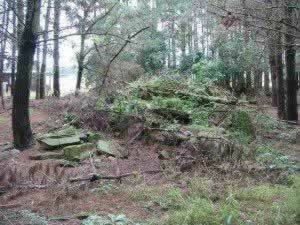 The foundations and the front steps are still visible." 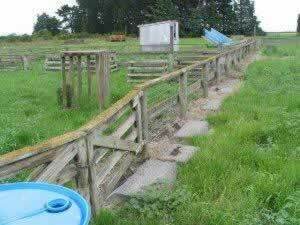 "I think that this was part of the Transport section,"
History under RNZAF usage: This site was chosen in 1942 by Flying Officer Arthur Bradshaw, of the Aerodrome Services Branch of Air Headquarters, to become an RNZAF airfield. It was approved as such by HQ, but was held in reserve. It is unknown whether any actual development of the airfield was made at that time. History under RNZAF usage: Already a landing ground before the war, Gore was apparently taken over by the RNZAF in 1939.
eld was made at that time. History under RNZAF usage: In 1942, the RNZAF, under the guidance of Flying Officer Arthur Bradshaw, had this aerodrome's existing runway extended, so that it could be used by Vickers Vincents of No. 2 (General Reconnaissance) Squadron from RNZAF Station Nelson in emergencies or during specific patrols. History under RNZAF usage: Already a landing ground before the war, Dawson's Farm was apparently taken over by the RNZAF in 1939, or at least designated as an aerodrome that they could use for communications work and emergencies. In 1942, under the guidance of Flying Officer Arthur Bradshaw, the RNZAF had this aerodrome's runway extended, so that it could be used by Vickers Vincents of No. 2 (General Reconnaissance) Squadron from RNZAF Station Nelson in emergencies or during specific patrols. Between the 4th of 10th of February 1942, Bradshaw visited this aerodrome and others he'd had extended and upgraded, landing Airspeed Oxford NZ1211 there.